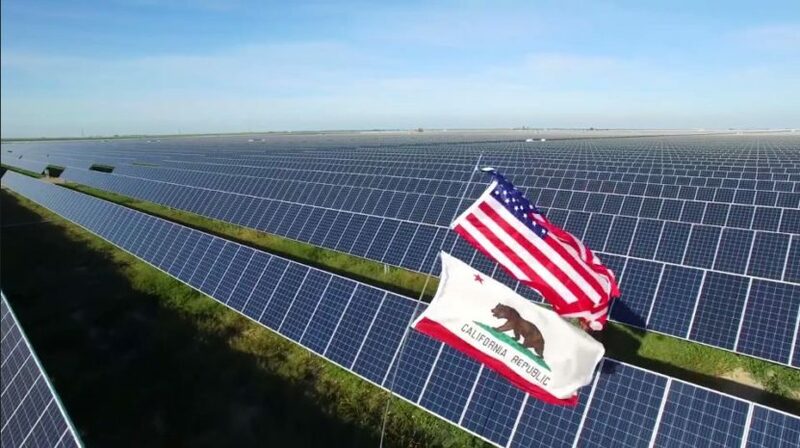 It’s been a big spring for renewable energy in California. A very wet winter has meant a high level of hydro generation, but this is not the only factor. Due to rising wind and solar production, on May 13 the state hit a new record with renewables excluding large hydro peaking at 67% of electric demand on a Saturday. This combination of increased hydroelectric, solar and wind generation has in turn resulted in the lowest levels of natural gas use for electricity generation in five years, according to an analysis by the U.S. Department of Energy’s Energy Information Administration (EIA). Solar was a significant driver of this, and EIA notes that during the first four months of 2017 the average daily solar output is 27% higher in California than during the same period in 2016. And if California is using less gas, this may be necessary. In the aftermath of the catastrophic Aliso Canyon gas leak, Southern California Gas has warned that it has “serious concerns” about its ability to safely and reliably serve its customers this summer. It is important to note that California is using less gas than it did in either 2011 or 2012, despite the shut-down of the San Onofre Generating Station (SONGS) nuclear power plant in 2013. Northern California utility Pacific Gas & Electric Company (PG&E) also has plans to shut down the state’s final nuclear power plant in 2025, citing concerns about incompatibility of the plant with the state’s need for power system flexibility while adding more renewable energy. This follows a pattern similar to Germany, where fossil fuel use in the electric sector have declined over time due to a rapid deployment of renewable energy, despite the shut-down of nuclear power plants.